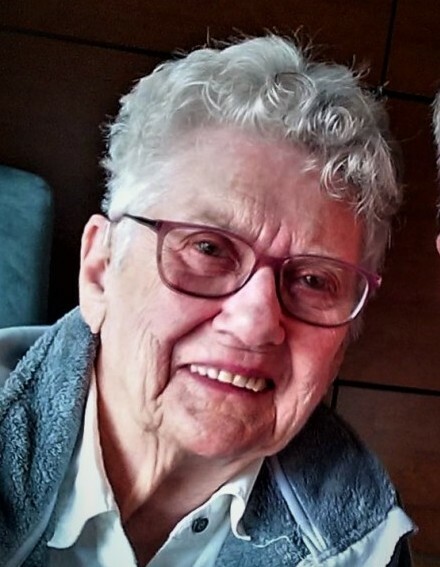 Patricia Ruth Mary Turner (Patsy), 89 of Paynesville, formerly of Willmar and Lake Lillian, died Thursday, March 21, 2019, at CentraCare Hospital Paynesville. A memorial service will be held on Saturday, April 27, at Crystal Hills Assembly, 26754 Highway 55, Paynesville, MN with Pastor Jim Pritchett officiating. A visitation will be from12:00 noon to 1:00 p.m. with the memorial service at 1:00 p.m. A cake and coffee reception will follow. Patricia R.M. Turner was born on July 24, 1929, at DePere, Wisconsin, the daughter of William and Josephine (Naniot) Exferd. She received her education in Wisconsin and later moved to Sacramento, California for employment. She married Merle J. Brooks on February 1, 1964, and they later relocated to Minnesota. Merle passed away in 1989. On October 13, 1992, she married Maurice Turner of Cosmos and Willmar. They shared 22 years of marriage before Maurice passed away in June 2014. Patricia was a member of Crystal Hills Assembly in Paynesville where she participated in Ladies Bible Study and seniors’ ministry. She enjoyed playing card games, travel, World War II history, and time spent visiting with family members and friends. She is survived by children and grandchildren including Charles and Maureen Schneider and family of Paynesville, Michael Turner of Woodbury and Jan Turner of Atwater, several great-grandchildren, sisters in law, nieces, cousins, and friends. She was preceded in death by her two husbands, parents, brothers, Ann Turner of Woodbury, and Scott Turner of Ashby. There's still time to send flowers to the Visitation at the Crystal Hills Assebly of God from 12:00 PM to 1:00 PM on April 27, 2019.